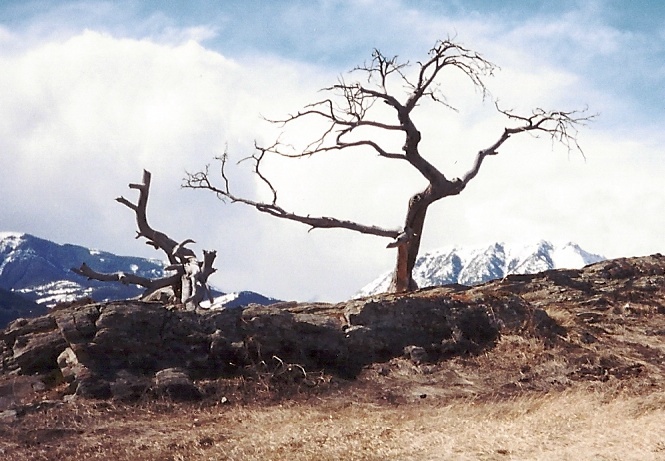 The Burmis Tree is estimated to be between 300-700 years old, and died in (or around) 1978. It fell over in the wind (it is SUPER windy in the Crowsnest Pass) in 1998, but it is such an iconic site there, the locals propped it back up. Then, apparently some stupid loser vandals cut off a branch – SERIOUSLY? what is WRONG with people!!? – in 2004. However, once again, it was put back together. It’s a beautiful tree, even dead! About…20 minutes West of the Crowsnest Pass (see blog February 3, 2013), over the GREAT Continental Divide (see blog February 6, 2013) and down the other side, is Elk Valley. 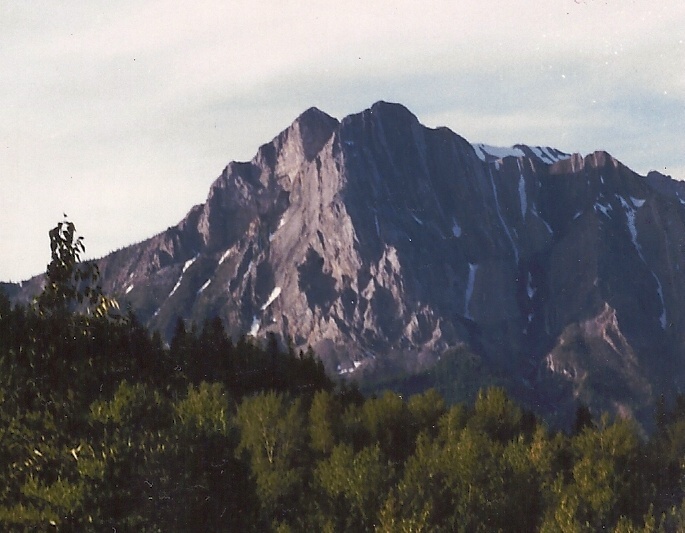 Technically, Elk Valley is made up of Elkford, Elko, Fernie, Hosmer, Morrissey, and Sparwood. I can’t actually figure out where Morrissey is, so I’m not sure it actually exists anymore. However, on our road trip to Hungry Horse, we drove through the other three of the other four towns, (all but Elkford). Sparwood, British Columbia, is a coal mining town, and is right on the highway. 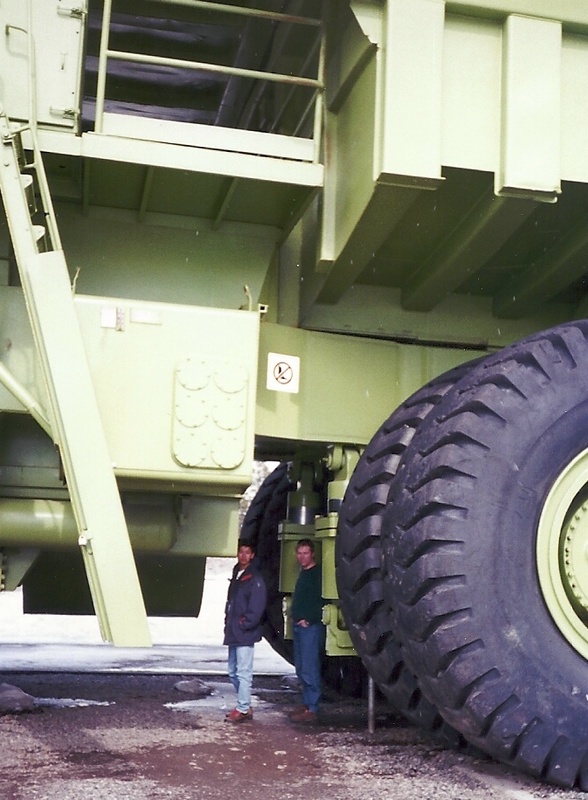 You’ll recognize it because it’s the home to one of the World’s Largest Truck – the 1974 Terex 33-19 Titan. You can’t miss it!! It’s 350 tonnes, and 66 feet (2o meters) long. It’s almost 25 feet (7.57 meters) wide, and about 22 1/2 feet (6.88 meters) high with the box down. 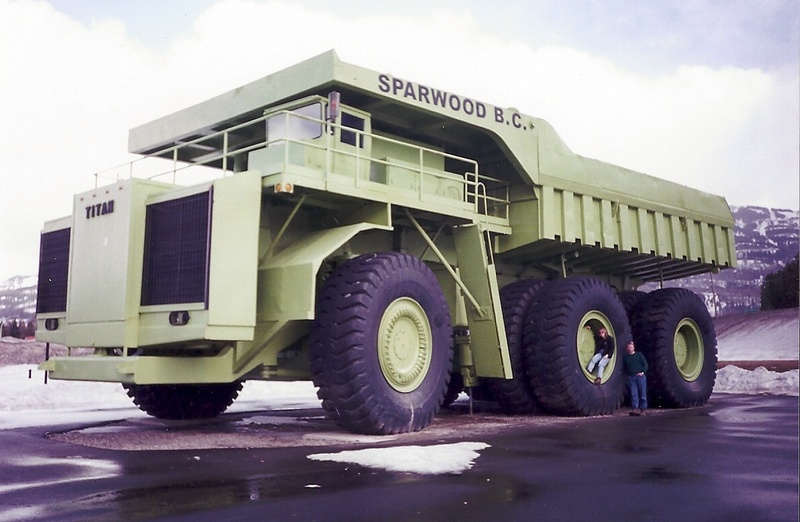 Apparently, the Titan was the only 33-19 Titan ever made, and was made in 1973, specifically to be used for coal mining in Sparwood. Technically, it was supposed to be just the first one, but because of the economy, the industry had to use smaller vehicles instead. 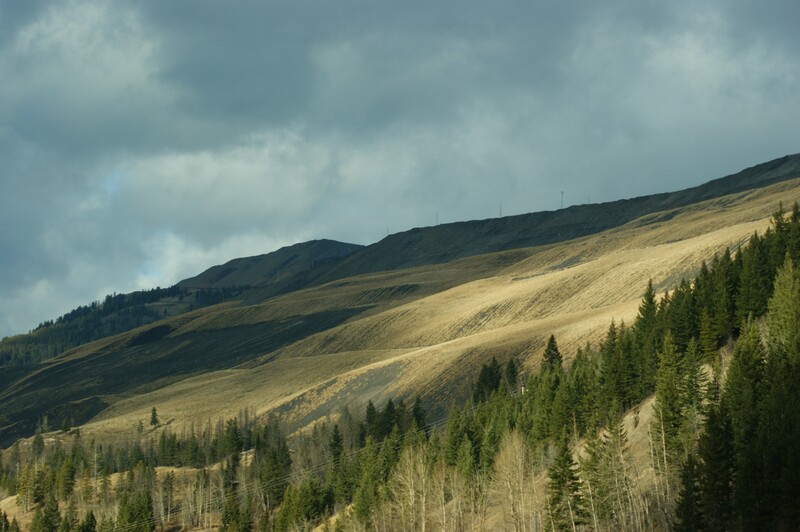 As you drive through the area, you can see evidence of the coal mining – the mountains have been carved and mined, and are starting to grow grass again. That’s just from the road. You’d have to drive back towards the Mines to see more. AND, you can actually take tours of the Mines, too. 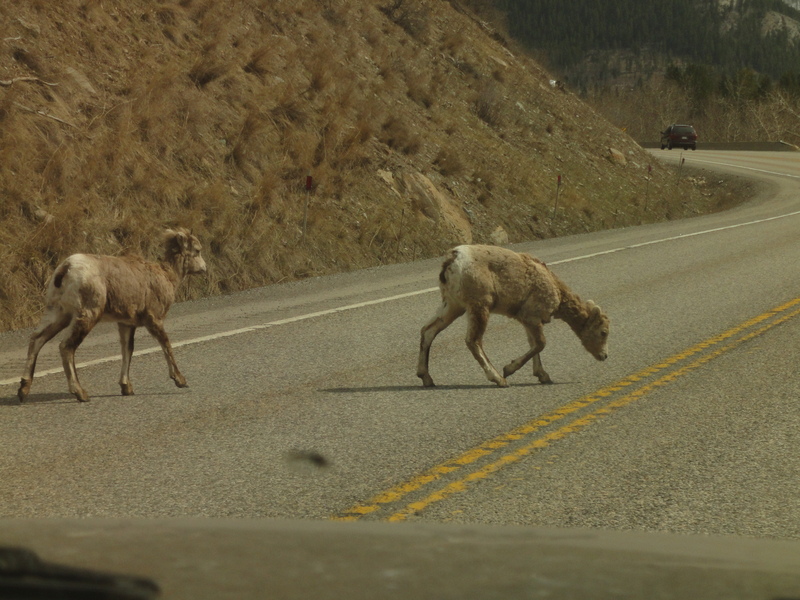 Between Sparwood and Fernie, is Hosmer. Hosmer was established as a train station for CP Railway, in 1906. But, what I always think about when I’m in the area, is Hosmer Mountain. In the evening, on sunny days, though, the “Ghost Rider” legend appears – it’s a shadow on the face of the mountain that looks like the shadow of a horse and rider, with someone on foot beside them, going up the hill. Anyway, check out the shadow! You will see it! 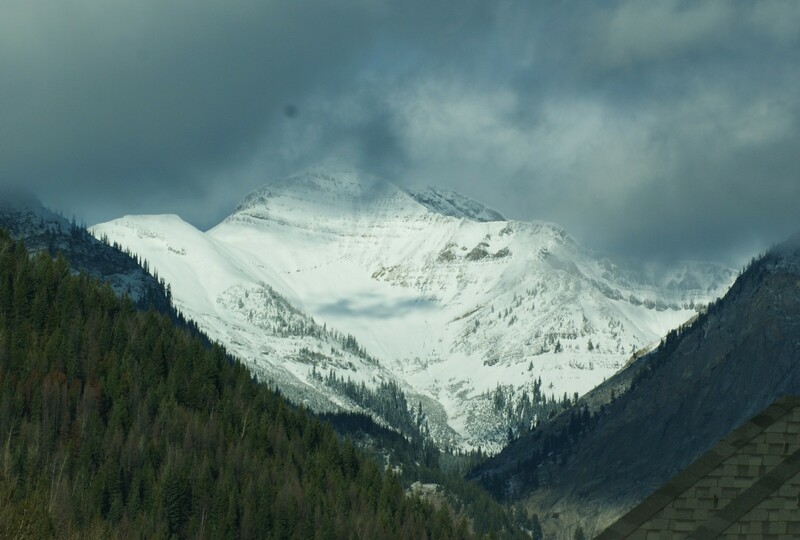 15 minutes south is Fernie. 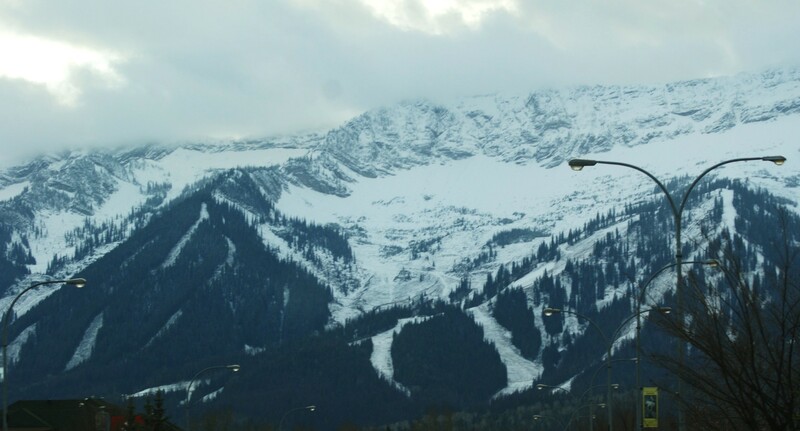 Fernie’s claim-to-fame is, of course, Fernie Alpine Resort. Leaving Fernie, you get to go through a tunnel – it’s a short tunnel, but I do love it. It means that you have 3o approximate minutes before you get to the US/Canada border. 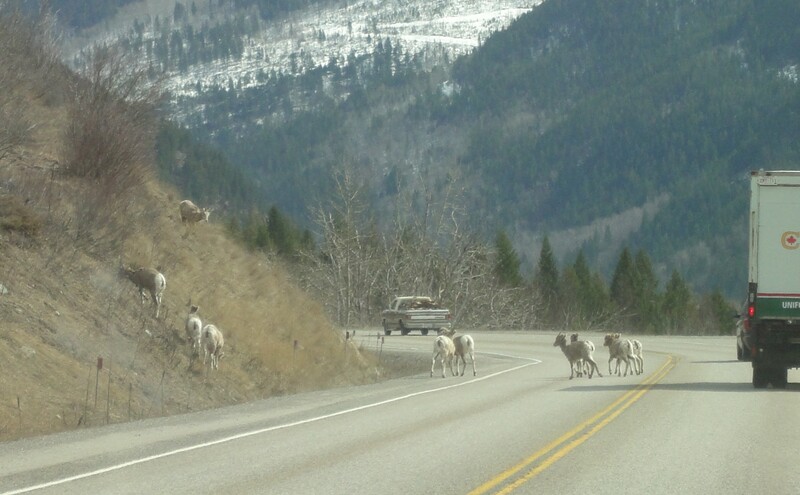 Watch for the Mountain Sheep just on the other side of the Tunnel!